By YETTA BLAZE DE BURY. FROM THE WHOLE of a literary work may be gathered the surest glimpse of the author’s personality. In the case of such a literary critic as Ferdinand Brunetière, the private idiosyncrasies of the writer constitute his best safeguard against any charges of injustice or partiality. If from the very writings of a man we can draw proofs of his literary austerity, of his sensibility, of his disinterestedness, of all, in a word, that liberates the pronouncements of his pen from the accusation of prejudice, we not only render homage to the personal merits of the man, but, above all, we sweep away any suspicion of injustice or arbitrary judgment in the writer. Brunetière’s systematic attack of Zola has nothing to do with Zola himself, nor with the sale of his books; but that this attack from the first has been prompted by his disgust at seeing Zola pander to the basest appetites of the public. Brunetière, more than any other critic, has his enemies, because he pays no heed to them. When the reader will have formed an accurate idea of the delicacy of a mind which recognizes “the existence in the depth of souls of recesses where even the caress of the softest hand dare not venture”; when he has a sure knowledge that in reading Brunetière he is face to face with a nature that revolts against interested adulation, and whose whole activities of pen and speech, are solely vowed to vindicate respect of the dignity of life, and, above all, to the elevation of the moral plane of the literature of fiction, he will be still farther from injustice to one of the most militant and eminent of our thinkers. Brunetière, more than any other critic, has his enemies, because he pays no heed to them. In his quality of autocrat of triumphant convictions, he disdains and ignores them. To enter the Sorbonne through the Academy3 as professor, at the request of the most reactionary and red-tapist body of France, without any of the hierarchical degrees exacted, but upon the sole authority of talent, was enough to excite the anger of officialism, and what then when the professorship is followed by triumph? DURING THE THREE winter months of 1894, the most fashionable public of Paris was seen to forfeit its hour in the Bois, and crowd in the corridors of the Sorbonne, at the risk of life (the crush was such that it was nothing less), as in 1891, 1892, and 1893 that same public had rushed to the Odéon. Since the famous “crushes” of the Mariage de Figaro, nothing was ever seen to be compared with the course of lectures on Bossuet in 1894. Such sights formed big grievances in the envious mind against the hero of such successes. The crowning point was the direction of the Revue des Deux Mondes, which a committee of the most prominent men of Paris unanimously offered him in that same year of 1894. The writer had engendered the orator, I might even say the preacher, for his method as a lecturer was destined to introduce considerable innovations into this art. The reform was accomplished the day Brunetière compelled before his judgment-bar all the creatures of Corneille and Racine, and lending vividness to platonic causes, convicted, vehemently and without condition, the superhuman heroism of the one in the name of the impassioned sensibility of the other; when, with the inspiration of a convinced advocate, he contrasted the complex tenderness of Phèdre with the simple impulse of Camilla and Pauline. Above all was this accomplished the day he, untrammeled thinker, if not free-thinker, raised a moral statue to Bossuet before a numerous ecclesiastical audience, the audience of the Bossuet course being one-third composed of priests. He had substituted an animated and impassioned debate for a mild lesson. 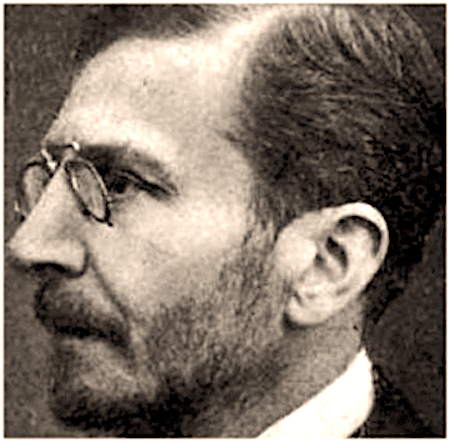 I purposely insist on Brunetière’s antipathy for the unclean, on the point of examining him as a critic first, so that the reader may have a clear notion of how much the decisions of the writer are influenced by the conscience of the man. It is certainly out of regard for this impersonality that Brunetière finally consents to declare Madame Bovary a masterpiece, but an incomplete one, since it “lacks elevation.” Equally lacking in elevation are Azyadee, the Mariage de Loti, Mon Frère Yves; this last plot being nothing but the narration of the intoxication of yesterday and the intoxication of to-day. With the exception of Pêcheur d’Islande, Loti’s works only excite Brunetière to controversy. Daudet’s hardly please him more, save l’Evangéliste, which, being less encumbered with characters and of more chastened style, winds his approval. Maupassant holds the first place after Flaubert in the critic’s esteem. He allows him clarity, finish, rapidity; he even recognizes in him a more natural “gift of style” than Flaubert’s. 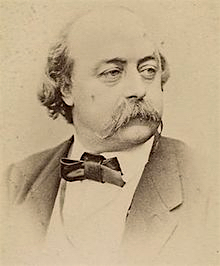 “We do not see him,” he writes, “torturing himself to find a phrase or avoid a repetition.” Let us remember that this praise implies, on Brunetière’s part, forgetfulness of the fact that Flaubert was Maupassant’s master. It was Flaubert who said to Maupassant, “Go to such a street. You will find a house, a porter, and a parrot. Describe me the house, paint me the porter and the parrot.” “I had to do so over and over again before Flaubert was satisfied,” confesses Maupassant. It is Maupassant’s short tales that Brunetière most admires, and these little nouvelles, masterpieces, indeed, of brevity and subtle psychology, owe their value to Flaubert’s teachings, so that justly all the praise reflects on Flaubert. 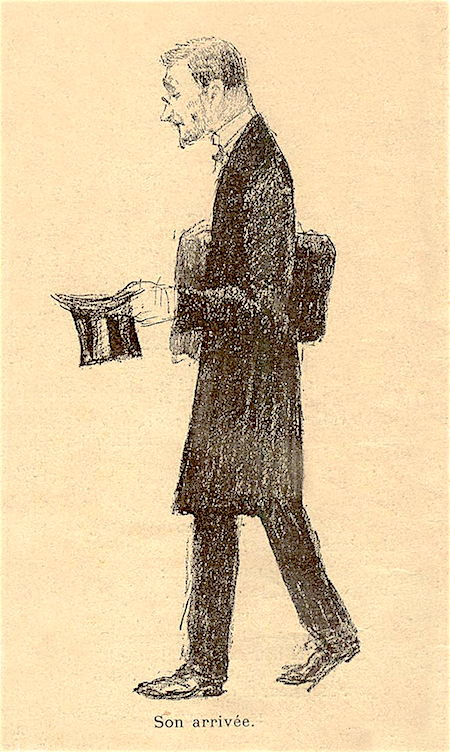 I SHALL RETURN presently to Brunetière, the lecturer, to complete his criticisms of his times. In the series of lectures on the “Lyrics of the Nineteenth Century” he travels from Chenier to Leconte de Lisle, and from Châteaubriand to Bourget. But before returning to these subjects of the day, I wish to show the English reader a glimpse of him in the society of Louis Quatorze’s century, wherein he has won, by election, a retrospective place. I wish to show for an instant Brunetière with his tenderness for Bossuet, which reserved for the audience of the lecturer of 1894 the revelation of certain aspects, till now unrecognized, of the great bishop. L’Histoire des Variations des Églises Protestantes, above all, is a call upon the critic’s liveliest admiration. 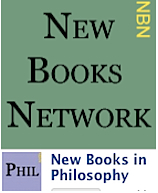 «This work is not only one of the most formidable machines directed against Protestantism, but it is also the finest book in the French language, and adds to all its other merits that of being a work as impassioned as it is sincere.» A less superficial knowledge of Brunetière’s sentiments in literature and sociology leads us to conclude that his profound passion for Bossuet is as much inspired by his admiration of the great bishop as by the uncompromising spirit they possess in common. Bossuet does not veil the expression of his thought even when he speaks of princes. He dares to say in the Funeral Oration on Anne de Gonzague, “She rose from intemperance of the senses to intemperance of the mind.” The same audacity encourages him to attack intellectual pride, without any indirectness: “Erudite and learned men, why make such an ado about your reason, so constantly astray and ever limited?” It is this freedom of attitude that charms Brunetière quite as much as Bossuet’s genius. 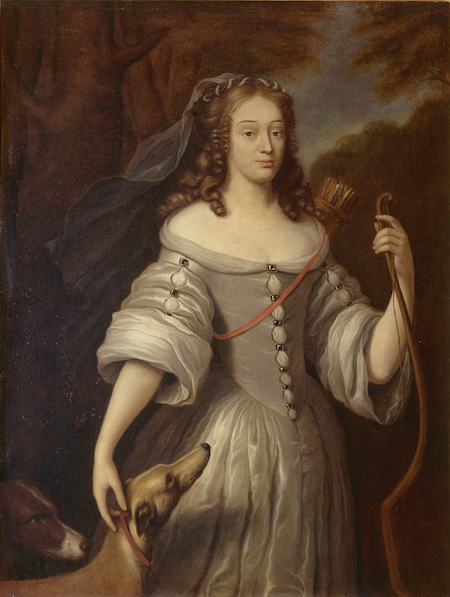 Speaking of Mademoiselle La Vallière’s retreat, our critic goes still further in his partiality, for he actually explains the favourite’s sentiments by his own, and supposes gratitude in La Vallière toward Bossuet for a proceeding that forever removed her from all that was dearest to her. “One of Madame La Vallière’s principal reasons for being attached to Bossuet,” writes Brunetière, “was that the friendship of such a courageous man prevented her from growing old among the basenesses of the Court.” True, Mademoiselle La Vallière deserves that we should credit her with every generosity, but here Brunetière substitutes himself for her, for it is hardly probable that, at the time Bossuet was directing her toward the religious life, she had the strength to bless him, though she had sufficient force to obey him, which is quite another thing. This attraction, by reason of an analogous temperament between Bossuet and Brunetière, becomes still more evident when, treating of the preachers of the eighteenth century, we find Brunetière quoting Bourdaloue in preference to Massillon, and, by preference in Bourdaloue, such aggressive passages as: “The reason men are unjust, haughty, and sensual is because they are rich, or they have the passion for becoming rich.” Brunetière’s preference for attack to the satyr’s caress, to flattery is one of the characteristics of his temper, felt through all his work—one of those features which I pointed out in the beginning as the stamp of his personality above everything. With the same easy grace, Brunetière says again, speaking of the surintendant Fouquet, “Fouquet was only a cheat; he simply represents the passion of money in all its grossness.” Rapine in palaces or genius in misfortune, it is all one in Brunetière’s eyes. He only sees “the fact”; and if he declares Fouquet a culprit, he recognizes a victim in Lamartine of generosity, utterly indifferent to the partisans for or against his statement. I HAVE BEEN particular in exposing those features in Brunetière’s work which underline his own individuality: his worship of human dignity, his contempt of money, his disdain of flattery—all idiosyncrasies which strongly influence the critic’s severity toward the demoralising literature of the “naturalists”; a literature that is generally little else but excitement of the least noble instincts of humanity. In a word, he is chiefly concerned in literature with its ethical purport. We ever find him homogeneous, always true to his line of conduct. He lashes the grossness of the primitive rhymed tales just as insistently as he does the most accomplished description of the modern realist novelist. 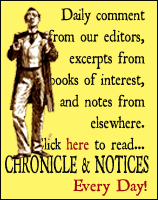 Through more than twenty-five years of labour Brunetière, whose criticism has been besought for every kind of work, has written in his fortnightly pages of the Revue des Deux Mondes criticisms of everything except the contemporary drama, which, after all, was outside his domain. In this broadly-limned sketch, where I have shown him, first in French naturalist literature of the day, then in the seventeenth century familiar and sympathetic among his retrospective friends of predilection: through all these varied evolutions I have shown him giving himself in his writings, and, above all, eager for every occasion of enunciating his moral appreciations; we ever find him homogeneous, always true to his line of conduct. He lashes the grossness of the primitive rhymed tales just as insistently as he does the most accomplished description of the modern realist novelist. I have striven to point out the lofty severity of soul the critic always maintains, and to what degree his mind is ever concerned for the elevation of thought in the reader. Now I will endeavour to sketch the lecturer, so that, uniting the thinker with the man of action, the reader may have a more precise conception of the militant character of the most “acting” of our men of letters, of a man of letters who is the apostle of intellectual elevation in France. IN NOVEMBER 1891, the Odéon Theatre engaged Ferdinand Brunetière to give a series of fifteen lectures on the Classic Drama. Since 1889 he was already master of the lecture hall at the École Normale. He was asked to explain to the public the pieces it was going to hear, from the critical and aesthetic point of view—to make a fashionable Parisian audience understand the whole evolution of the French theatre, from Corneille to Emile Augier. One should have heard Brunetière throw light on the plastic “hits” of Racine in Phèdre—those lines where the heroine’s attitude is dictated by the words: “Je ne me soutiens plus, Enone”; “Que ces vains ornemens me lassent et me pèsent”; where Phèdre now leans upon the nurse, now disturbs her headdress. No less vivid, though greatly more partial, was his comparative study of Corneille and Racine, all his sympathies being enlisted on the side of Racine, “the man of feeling” against Corneille, the superhuman. 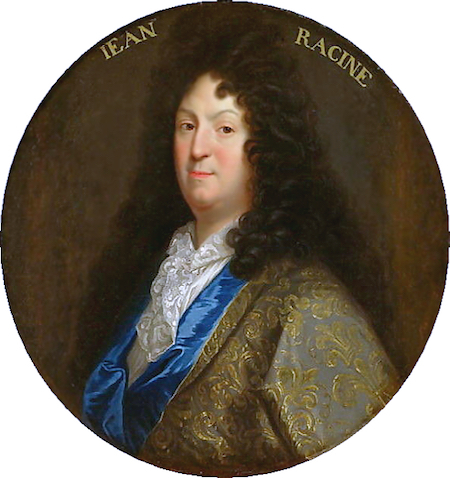 Nothing escapes the “professor-lecturer,” and those who have not heard his “classic” lessons will miss the entire synthesis that a single verse of Racine often contains; as, for instance, when Pyrrhus rests the whole evolution of the play on these four words: “Madame, en l’embrassant, songez à le sauver”; or when Phèdre gives voice to all her perplexities in one sole line: “Hyppolite est sensible, il ne sent rien pour moi.” Brunetière is essentially “modern.” We cannot complain that the absolutism of Corneille repels him, and certainly no one can deny the advantage to Racine’s plays—which our romantic needs in spite of ourselves force us to qualify as conventional—of the rays of such an intellect directed upon his theatre. Corneille’s work has a formal movement of passion; the lines have the sweep of an eagle’s wing, but this flight is always toward eternal spheres. Racine’s more psychological drama guards at least externally against anything like realism, and here it is that such a penetration as Brunetière’s renders service to the audience by lifting the veil of formula and revealing the touches of nature beneath, by bringing before it the profoundly modern note of these psychological plays. Brunetière traces all the stages through which French tragedy is led, from the Æschylean region of the abstract passions of Theophilus, of Hardy and Rotron to Corneille, and thence to Racine, with their counterpart in the evolution of comedy. He shows how the satyr of the fifteenth century formed with Molière in the École des Femmes and Tartufe, the bases of a new comedy of observation, falling first upon Marivaux to end the old method, and begin the new with Beaumarchais; how with Beaumarchais and the flagellations of the Mariage de Figaro, comedy makes a fresh start upon lines which lead Alexandre Dumas to convert the stage into a pulpit. These are the transformations, the avatars, the evolutions through which Brunetière conducts his audience along the most escarped meanderings of his theatrical conferences with an incomparable dexterity. These lectures appeared in the Revue Bleue the day after their delivery. The demand for them was incredible, especially by those who had heard them, no orator having ever put more of himself into all he does than Brunetière, so that, when reading him, you see him again as you heard him, and his very gestures seem to accentuate the written thought. This series of lectures at the Odéon, 1891, 1892, was a triumph, still they did not suffice the lecturer, since he had not fully accomplished his work—the lectures being pain and a theater being the place of meeting. 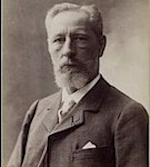 However successful this first campaign was, Brunetière had not yet founded the “free and gratuitous lesson.” This he only accomplished in 1893, when the Sorbonne yielded and engaged him to speak in its great amphitheatre on the “Evolution of Lyric Poetry in the Nineteenth Century.” This was a subject suitable to expose his strong likes and dislikes, a subject that gave the author of that excellent article on the “Question of Latin”7 a sufficient occasion to uphold classicism at the expense of the follies of exaggerated romanticism. Naturalism and individualism are, in Brunetière’s eye, one and the same thing; and the father of “individualism” in literature is, in his opinion, Jean-Jacques Rousseau. The basis of this new series was that “art is necessarily the reproduction of life.” This is one of the points on which art differs with science, based rather on speculation than observation. However, art is not a copy, but an adaptation of the facts of life. In fiction and in poetry this adaptation must be sustained by the noblest inspiration if it is to be preserved above the servile level of photography. Whence, according to Brunetière, the unreality of unmixed naturalism. The fact of its being natural does not constitute its truthfulness, for the natural is only “true” when it is wedded to the ideal; the human soul being never quite exempt from the upper influence even in its most complete yielding to the lower instincts, and some divine ray mingling at times with the basest manifestation. Naturalism and individualism are, in Brunetière’s eye, one and the same thing; and the father of “individualism” in literature is, in his opinion, Jean Jacques Rousseau. According to this view St. Preux is the origin of Manfred, Lara, Rene, Hernani, Ruy Blas, and their like—in a work, of all those beings of the lowest rank in this society of recriminators, who are dominated by Æschylus’ Prometheus; creatures of suffering and revolt, who believe themselves to be “heroes” because they suffer, instead of concluding, with Tasso, that “the most manly man is he who suffers most.” Placed by his study of the lyrics in an atmosphere where sensibility triumphs over reason, Brunetière could not escape its influence. He pronounces in favour of sensibility by saying: “Sensibility, after all, is, of all faculties, that which makes us ourselves. It distinguishes us above all others, it is the very essence of our individuality.” One of Rousseau’s principal virtues for Brunetière is precisely that of having turned public interest back to the inward life, at a time when Montequieu and Voltaire had monopolised literature for the sole profit of history, politics, and sociology. “False human respect and false modesty,” says our critic, “not only prevented writers from painting, but men from recognizing in themselves these sentiments.” In teaching man again what he no longer knew, that social and political questions are not the only ones, nor yet the most urgent; in restoring to us this possibility of the inner life, of which the worldly and busy existence of the eighteenth century was the negation, The Profession of Faith of the Vicar of Savoy sowed the seeds of religion and poetry which Châteaubriand reaped afterwards in his Gènie du Christianisme. Bernardin de St. Pierre, also one of the fathers of lyrism and romanticism, interests Brunetière less, since he is but a “landscape-painter,” and fails to link the feelings of his characters with exterior beauties, but allows the latter to usurp the interest that should belong to the former, and makes the “personage” the “accessory” instead of the landscape. In the eyes of Brunetière, one of de Vigny’s greatest merits is the fact that he does not discuss himself in his writings, and this distinction he also allows Théophile Gautier, with the addition of colour and warmth of imagination, which are his particular qualities. Always following this order of moral ideas (for I insist upon this, which the reader must see, that the study of Brunetière is more that of souls than that of forms or schools; or rather, that of schools evolving themselves from moral tendencies) we find Leconte de Lisle one of Brunetière’s favourite masters of modern lyricism. Of him he says, “he has never indulged in an unworthy trading upon his own afflictions; he has never invited the public to examine his wounds; he has never solicited commonplace commiseration through means of his writings; he has never prostituted his heart.” There is nothing to wonder at if, following the logic of tendencies, the reader must have recognised from the opening lines of this study Brunetière displays for the symbolists a sympathy as lively as that which the lyric and romantic writers inspire in him. His partiality for the symbolists is the sufficiently indicated counteraction of his aversion for the naturalist. “Happily fifteen years after his death, at the moment when Baudelaire became one of the educators of youth, two other influences, which at first seemed coadjutors of his, interfered with, and prevented him from working all the ill it might have done. I refer to the influence of the English Pre-Raphaelites and of the Russian novelists.” Lyric poetry, according to Brunetière, is that which waves to the surface the emotions of the inner life and of circumstances. Its seat is in the private feelings of the soul, as Lamartine’s Jocelyn, Alfred de Vigny’s Eloa. For Brunetière ‘symbolism is the reign of the abstract. It is the image of man’s ultimate destiny, inspired by an actual picture’. This is the symbolist suggestion upon sight of a child at play in the garden of the Tuileries. It completely distinguishes symbolism from allegory, since symbolism is the figure of a moral condition, abstract and future, whereas allegory is the figure of facts existing or already past. In Parsifal and the Wagnerian legend we are in full symbolism; in Tasso and Ariosto in full allegory. From one end to the other of these pages examples are not lacking to prove what I suggest in my sketch of the moral character of Brunetière’s critique, a critique so imperturbably drawn to the intimate tendencies of the work he judges. 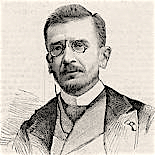 Still the literary apostolate of Brunetière can never be so direct, so immediate with youth as that of Vogüé, since his moralising pursuit of the elevation of the mind through literature is but a feature of his mission as a critic—criticism being the “protest” of Brunetière’s lofty developments—while Vogüé and Desjardins only sought to exalt the inner consciousness of those they addressed, and for whose sake they labored. Brunetière’s work [fighting science] had been the big gun; it roused every one…to call forth discussions among men of learning upon problems that thirty years ago were regarded as beneath the consideration of the superior mind! 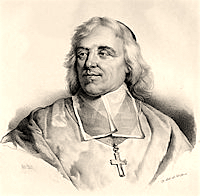 Having shown himself somewhat of a controversialist in his discourses on Bossuet, Brunetière, who had won the nickname of “the Young Inquisitor” by his rigorous defence of “dogmas,” set himself the task of fighting science in the name of faith in an article of 1st January 1895.8 This was an event. Polemics rained. Professor Charles Richet, in the Revue Scientifique, wrote in a strain of direct fencing; other answers were wordy and insignificant. But Brunetière’s work had been the big gun; it roused every one, though it concluded nothing, because in such questions decision must always be a matter of individual ultimatum. But to rouse minds, to dispute and argue upon questions of “belief,” to call forth discussions among men of learning upon problems that thirty years ago were regarded as beneath the consideration of the superior mind—was a result! This article of January was followed by another in May on “La Morale Evolutive.” These two philosophic manifestoes of Brunetière opened the door to the literary lame and halt to prove by attacking the author that he had not yet taken his place beside those who had failed in the higher literature to fling sprays of bile in the face of the director of the Revue des Deux Mondes, of the Academician, of the triumphant lecturer of the Sorbonne. Had, on the other hand, this conqueror striven to win pardon for his good fortune by that precise amount of suavity and graciousness with which the cautious politician covers his success? Had he endeavoured to win over those he defeated? Did he forsee calumny beneath each approval, menace under each caress? The penetration which we may believe kept him alive to every vengeful backstroke that the mediocre and envious hold in reserve for those who outrun them, had not dictated to him the false humility which the clever man offers in atonement to his jealous enemies. I HAVE ALREADY said that Brunetière is a man of courage, one of the strong and disdainful. Do not, however, class him with the unfeeling, for this he is not by any manner.9 We must not forget that he won where so many perish—won without sycophancy, without baseness, by emphasising his contempt and proclaiming his admiration. The envious who attack him have at least this point in favour of their shabby feeling to ennoble it—that jealousy may imply, in those who have paid for success by the sacrifice of dignity, a private regret for the loss in the struggle of that which he they envy, has been able to preserve. However, this very dignity, which has never had to pay as much as a stumble in a career so brilliant and rapid, ran less risks with Brunetière than with any other, because his aggressive temper carries him so forcible to attack that he has less to fear than any one else from temptation to flexibility. This pugnacious mood is his standard, which he flings into the fight with the air of Henri IV at Arques. He casts his paradoxes like flaming torches at his audience, then jumps into the arena, gathers them in handfuls, throws them back again, one by one, burning, vivid, flaming in the teeth of the shaken and electrified audience. It is all the fire of Brunetière’s own individuality that gives his eloquence its particular convincing character. This vivid way of speaking of “ideas” is the cause of the rumours that Brunetière’s real tribute is the parliamentary one. We need not insist on this last supposition. Brunetière is young, and chance is his friend; and then Providence, in whose favour, à propos of Bossuet, he has said so many fine things, will perhaps not prove ungrateful. But so far nothing whatever justifies the notion that Brunetière has the smallest political ambition. It is not improbable that the eminent Academician may entertain on these questions the conclusions of Frederick Lemaitre on Tartufe’s rôle. One of the most brilliant contributors of the Revue des Deux Mondes tells the story that, one day meeting Frederick, he asked him if he had never thought of playing Tartufe. Anne Emilie Rose Yetta Blaze de Bury was a literary critic active in the 1880 and ’90s as a frequent contributor to the Fortnightly and other reviews and was closely affiliated to the Revue des Deux Mondes. The Hatha Trust hosts an archive of her work. This essay was published in the October 1895 issue (Vol 64 os, 58 ns). Yetta was one of two daughters of the remarkable Baroness Marie Blaze de Bury, a prolific novelist, travel writer, a contributor to periodicals such as Revue des Deux Mondes, Revue de Paris, Blackwood’s Magazine and the Fortnightly Review and the hostess of an influential salon. Yetta died in her late-fifties or early-sixties (she was born on an unpublished date in the 1840s) in 1902. 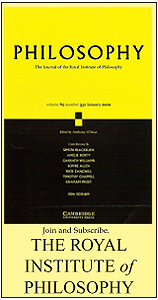 This Fortnightly Review article is filed under the following rubrics: Commentary on Art and Literature, Dossier: Ferdinand Brunetière, Principal Articles. Publication: Sunday, 12 June 2016, at 19:07. Options: Archive for Yetta Blaze de Bury. Bookmark the permalink. Follow comments here with the RSS feed. Post a comment or leave a trackback.